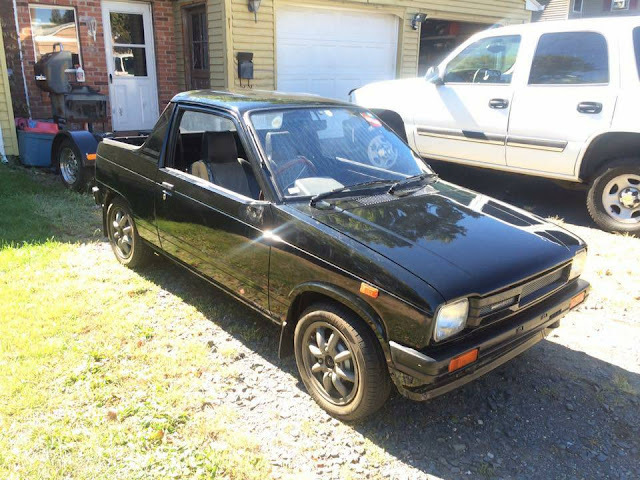 The Suzuki Mighty Boy is the mini-El Camino that you didn't know existed, but you certainly need in your garage. 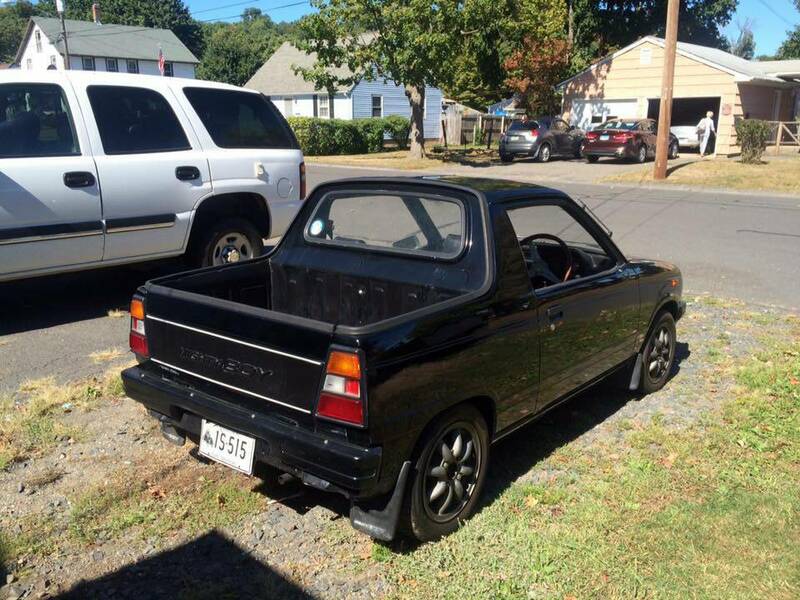 The Mighty Boy was built in Japan from 1983 through 1988 on a shared platform with the Suzuki Alto -- and while both used the tiny sub 600 cc engines to qualify for Japan's keijidōsha class of vehicles, only the Mighty Boy offers an exposed pickup bed. Find this 1983 Suzuki Mighty Boy offered for $4,399 in Hartford, CT via craigslist. Tip from Johnnyhoo. This little right hand drive El Caminosan started life as a Japanese Domestic Market car, but it was imported at some point into the USA and has been issued a US license plate and title. The exterior looks okay (for what it is) but the interior looks moderately torn up and needs some attention. 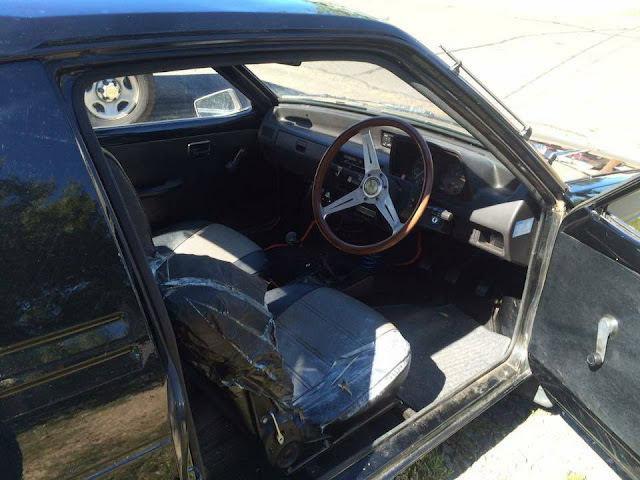 When a Subaru Brat is just too macho.